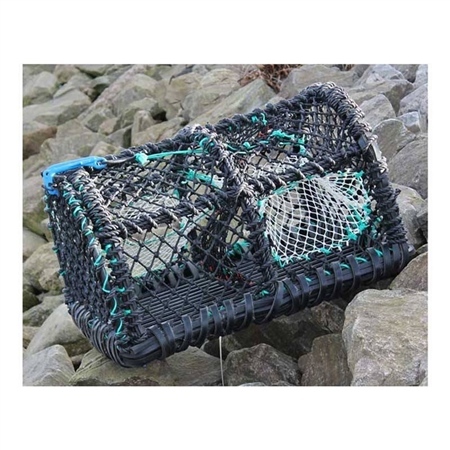 Similar to our very own Hebridean manufactured creel, this imported lobster/crab pot is specified to our design requirements and is ready to catch. With 10mm bar base it comes fully roped and rubbered and fitted with bait bag and soft eyes. Available in 24" or 26" frame. The complete job. Weight approximately 22kg. Please note, if you wish to purchase multiples of this item then delivery costs will increase. For an accurate quote on delivery charge please contact our sales team on 01463 229 400 or e-mail sales@gaelforcegroup.com. For commercial pricing, please contact your sales representative: For Scotland call Douglas Bowman on 07768 336213 or Stuart Cameron on 07801 526960. Great service and product, would definately recommend and use again. Thank you.